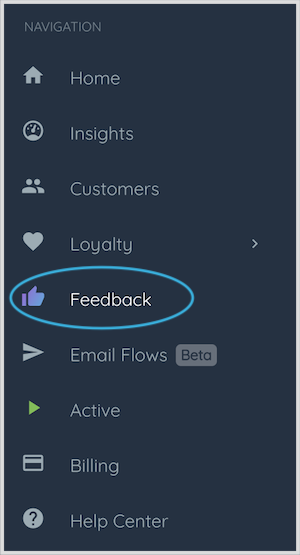 Personalize your Feedback requests to make them relevant to your business and your customers. 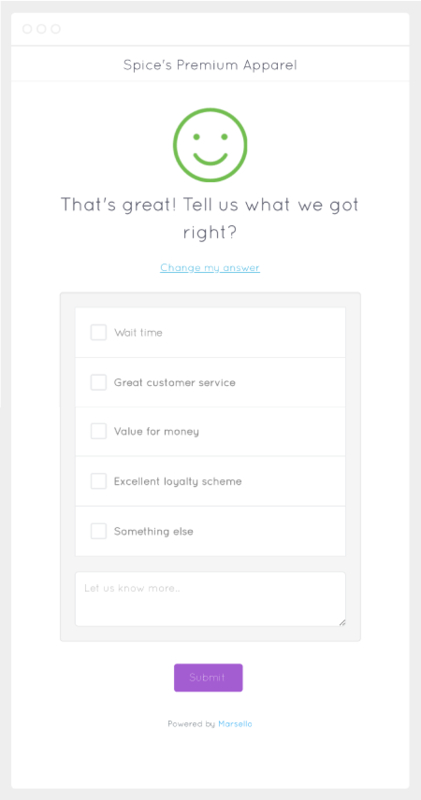 The default customer Feedback survey asks How was your experience? and allows customers to respond with a happy face or a sad face. While this will apply to most situations, you will get the best results when you personalize the survey to your business. 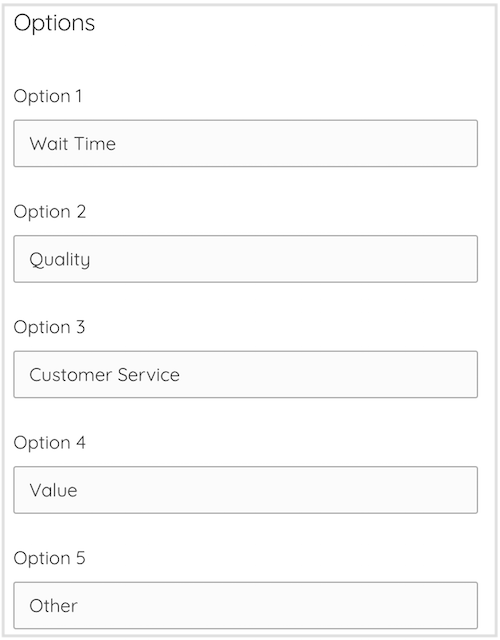 These options are displayed when a customer has selected positive or negative feedback, and gives them the opportunity to share more detailed reasoning for their selection. 3. 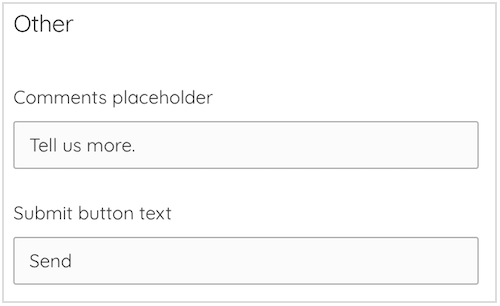 Customize your feedback options to be relevant to your survey question. These are the possible reasons that the customer is offered when they leave positive or negative feedback. 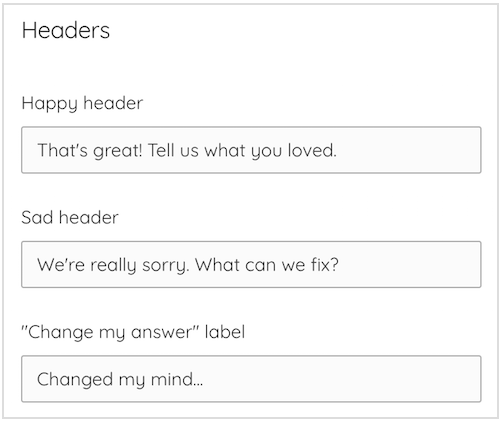 It's important to ensure the feedback options you provide to customers are relevant to their shopping experience. The channel that customers shop with your business through should indicate what options you give them. Identify the specific areas of your online shopping experience that customers love - or need improvement. Gain insight to how customers feel when shopping in your store. From the store layout and products, to their interactions with staff members. When selling both online and in-store, you should only include survey options that are applicable to both shopping experiences.